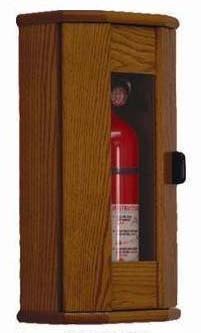 Monroe Extinguisher is pleased to offer a new product – Wooden Fire Extinguisher Cabinets sized to accommodate a 5 Lb. ABC Fire Extinguisher. 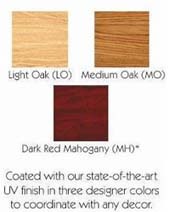 These quality cabinets feature solid oak construction for lasting beauty and durability. When mounted at the prescribed height, these cabinets are ADA compliant.